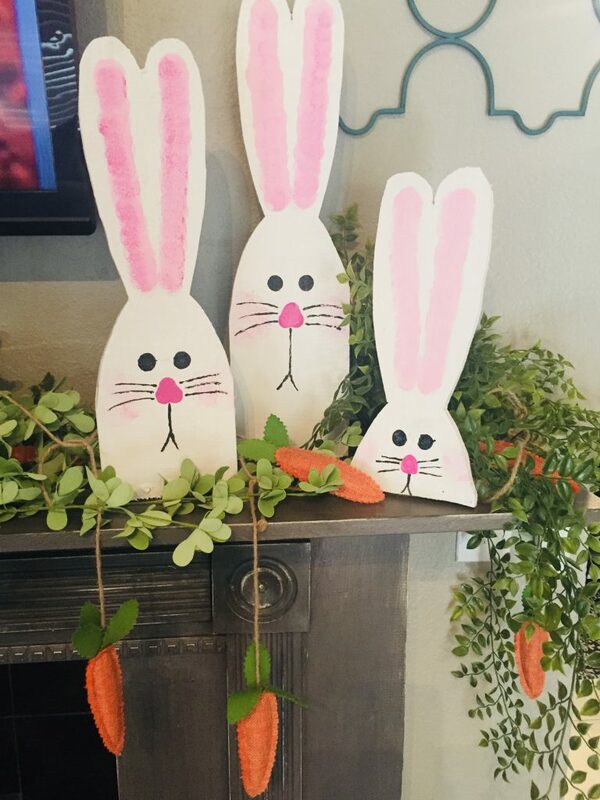 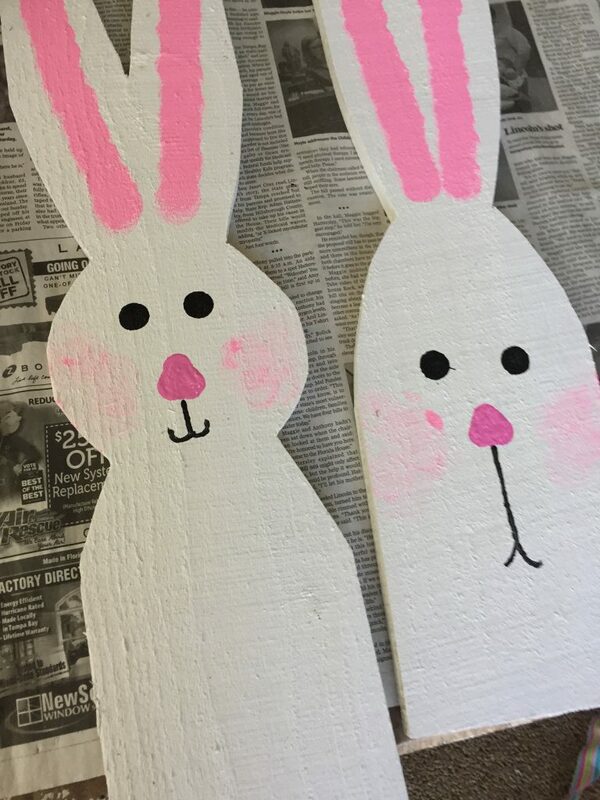 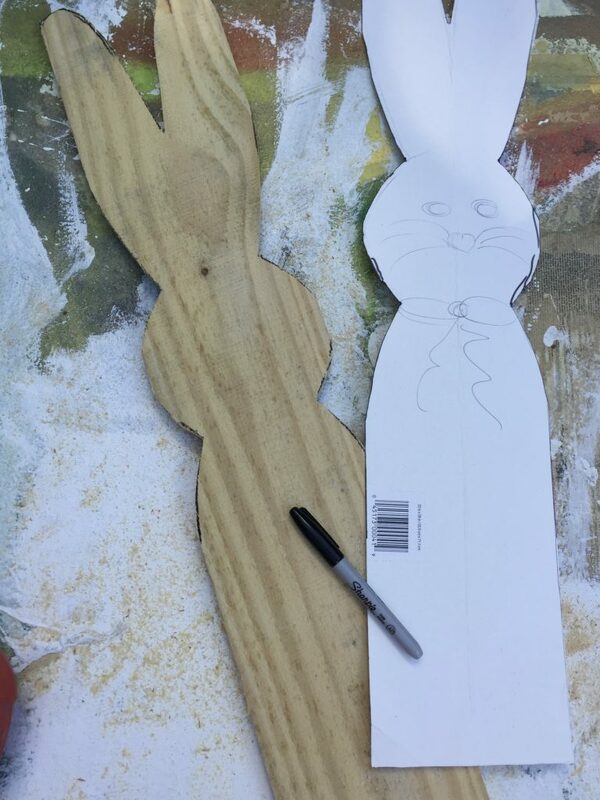 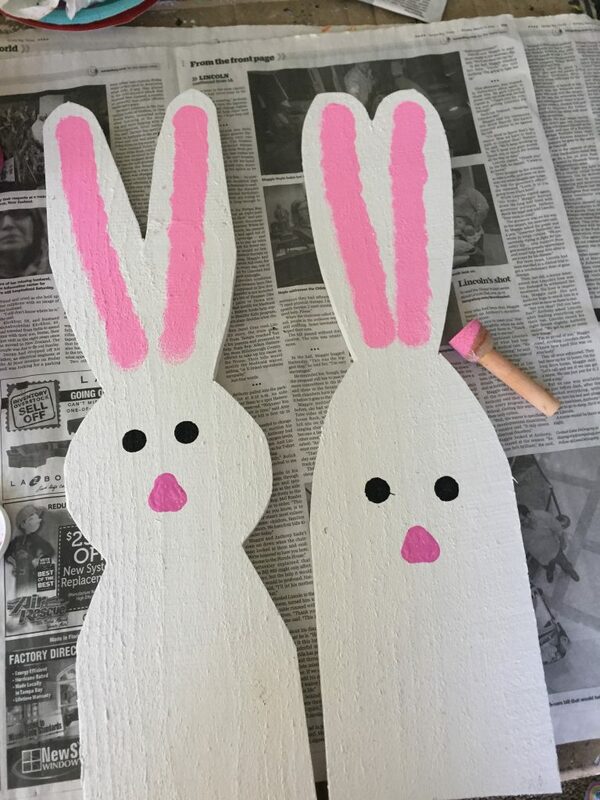 Step 1: Print out the bunny templates , tape them together and cut them out. 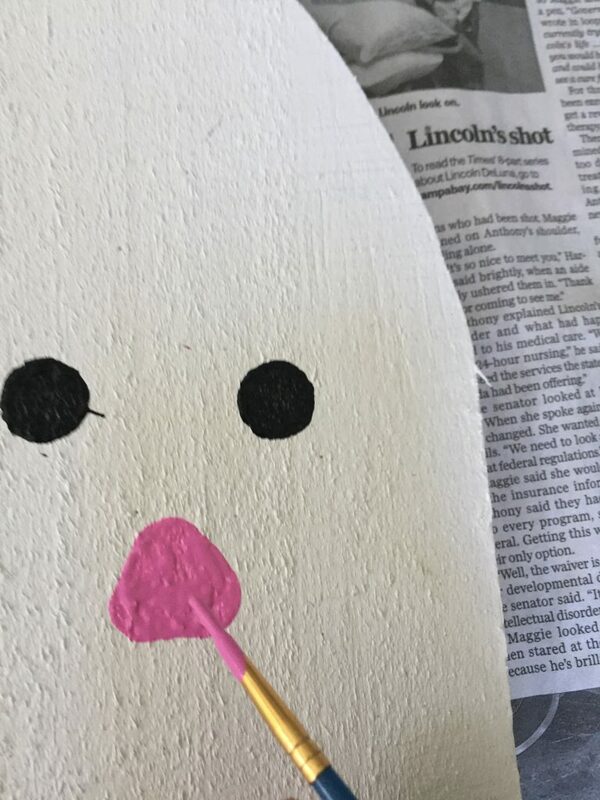 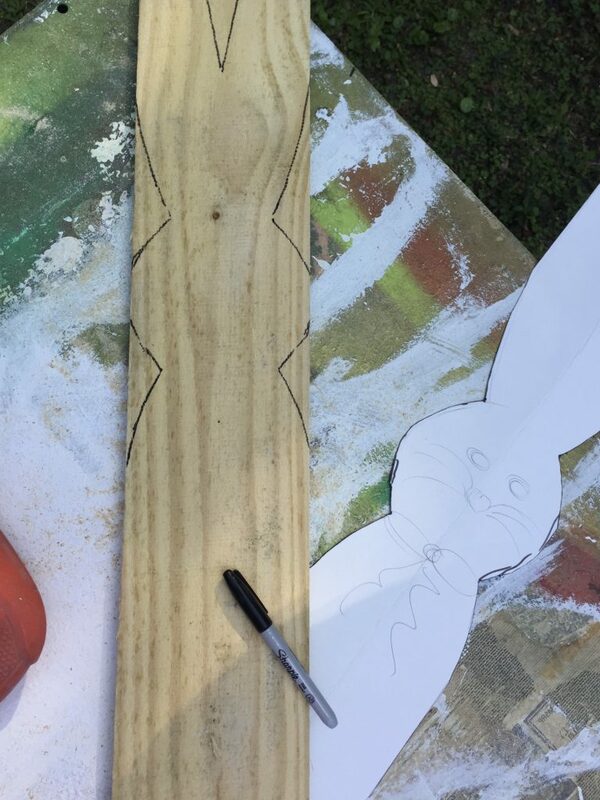 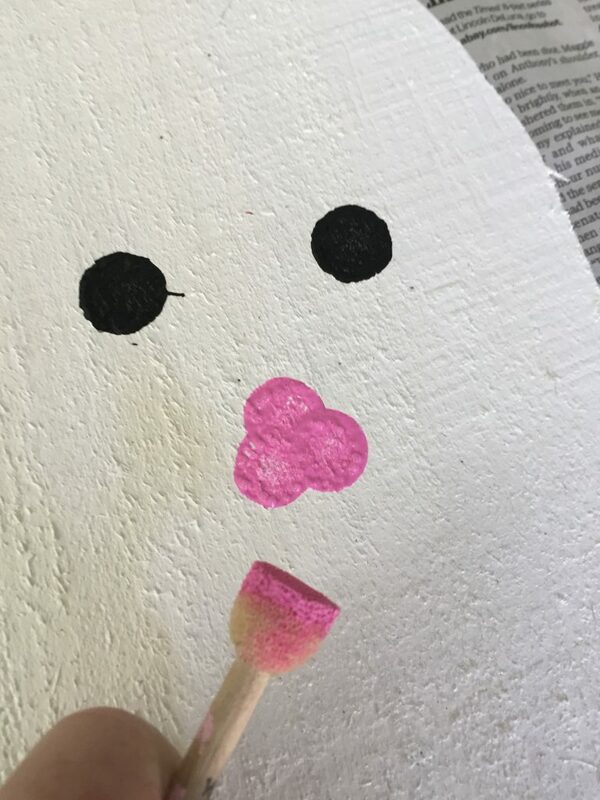 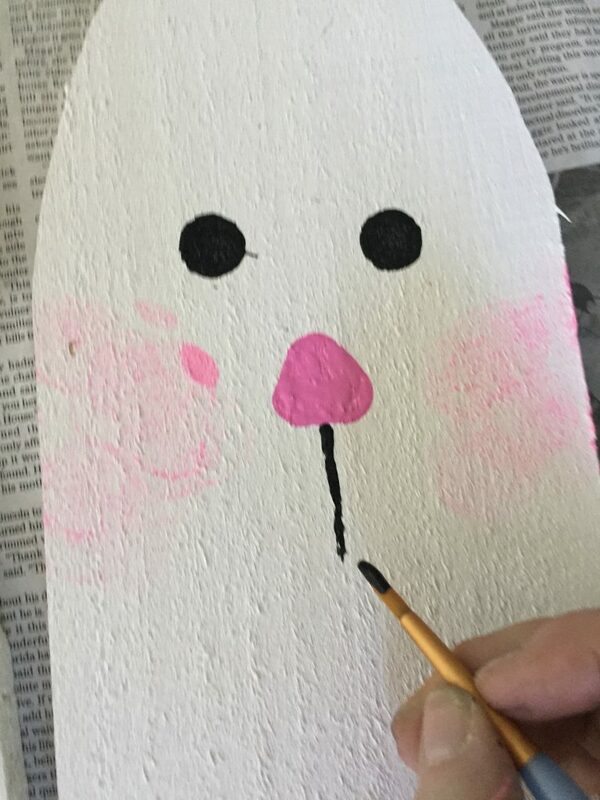 Lay the template on your piece of wood and trace out the shape with a marker. 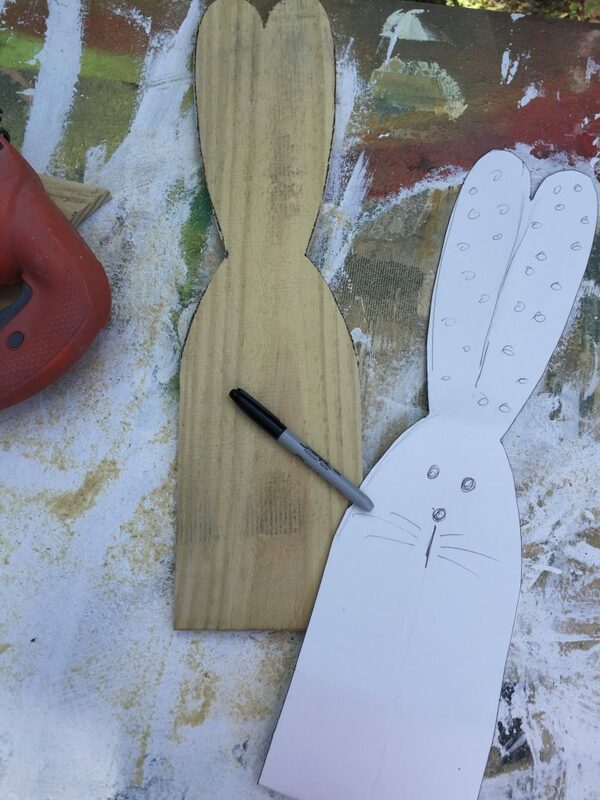 Step 2: With your jigsaw cut along the marker lines using a fine cut blade or a scroll blade. 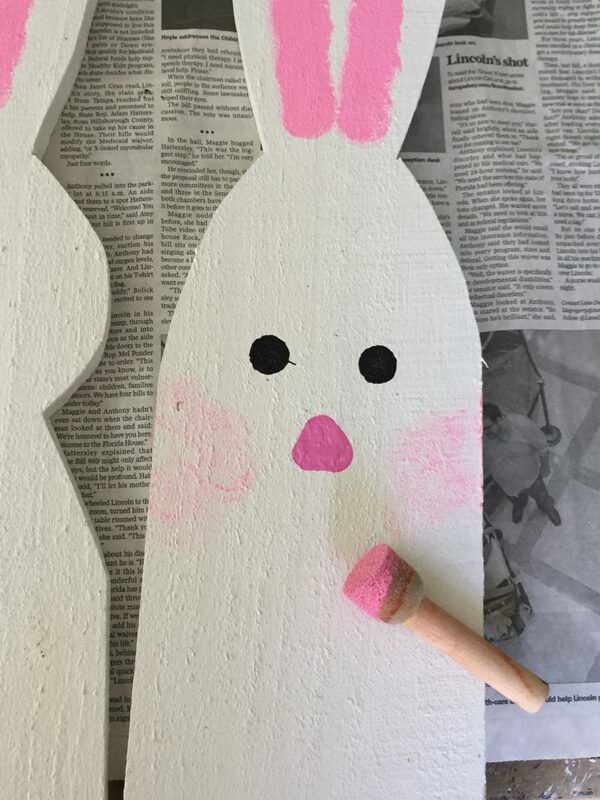 Do this for as many bunnies as you want. 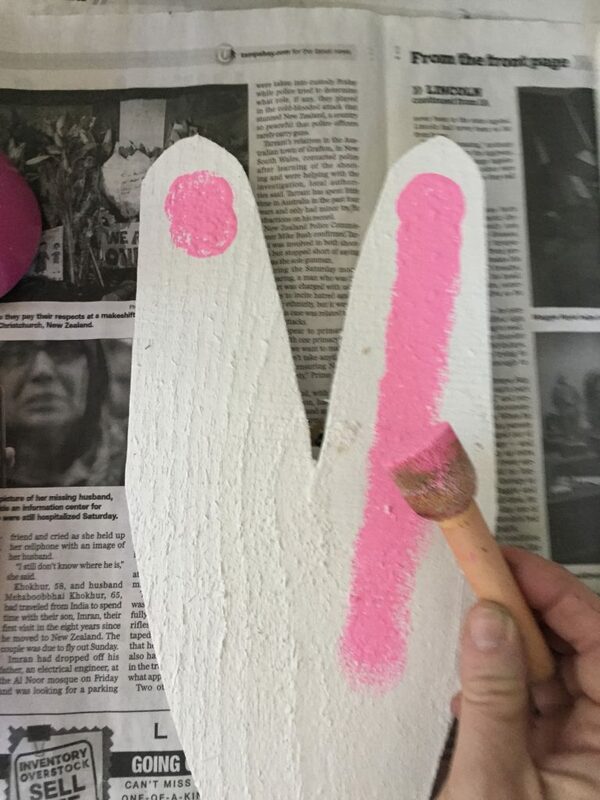 Step 3: Once they are cut out you can add your base coat of white. 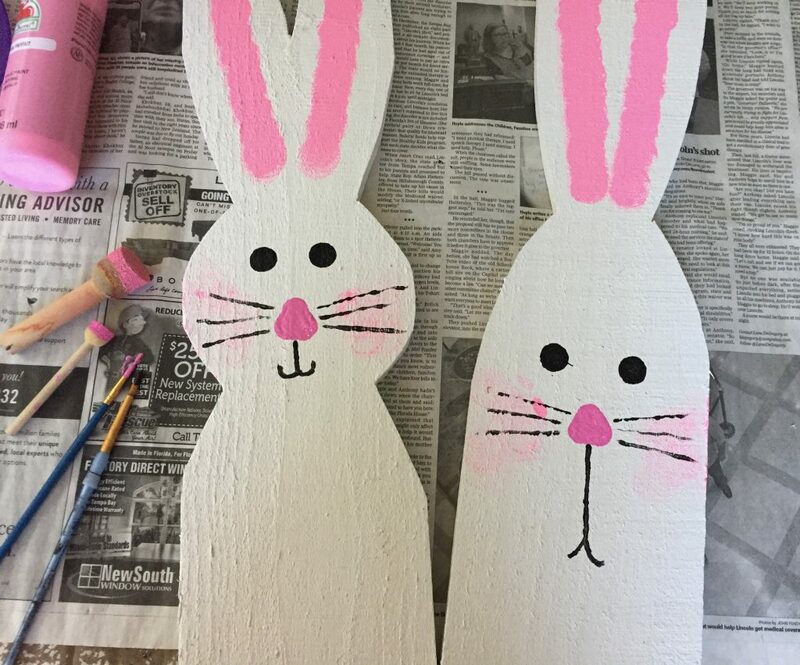 Do these base coats on the front and the back! 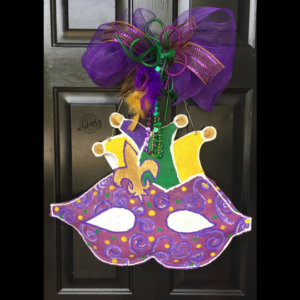 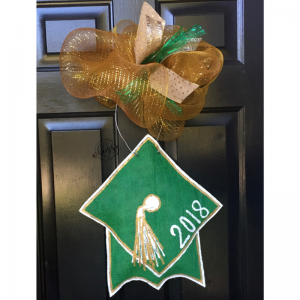 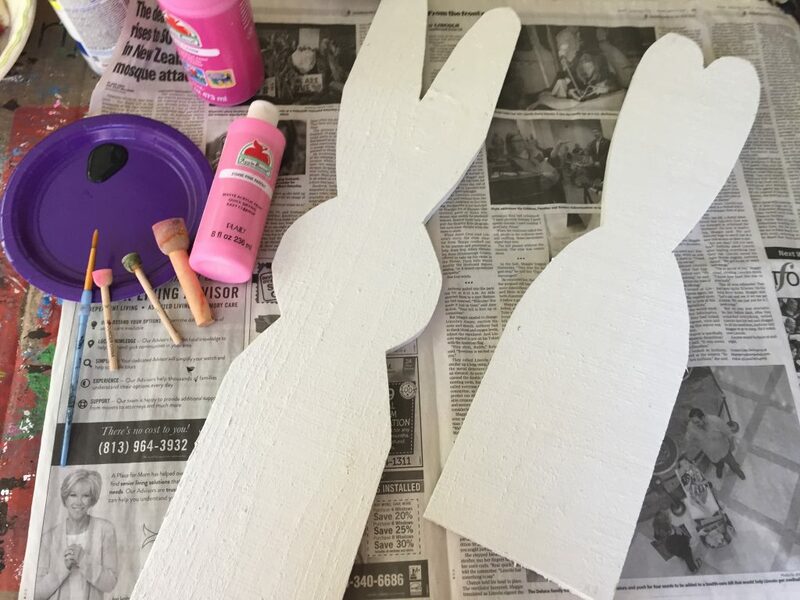 Step 4:Watch our video below to see how we added details! 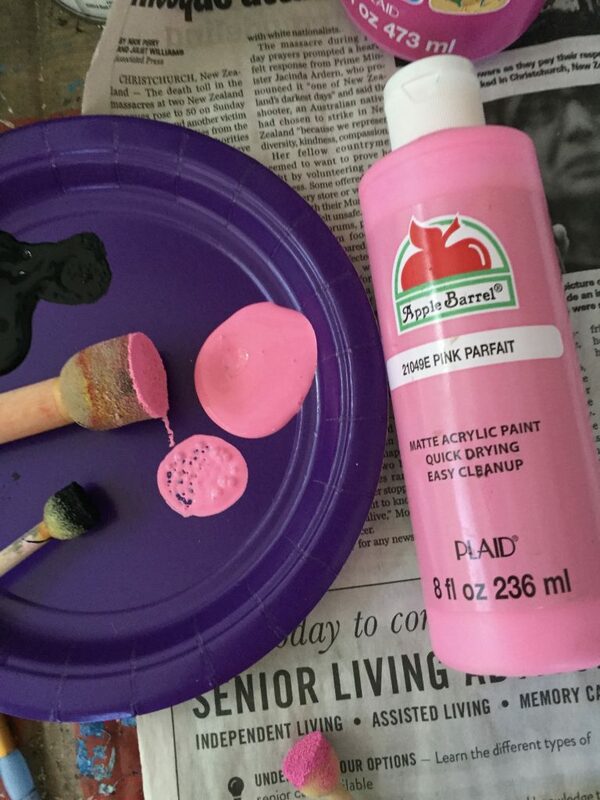 Step 5: Once the paint is dry, spray a clear coat sealant to keep them from fading. 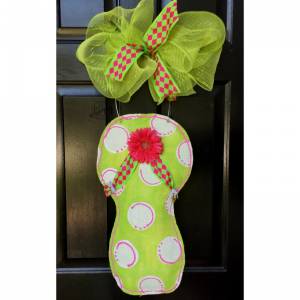 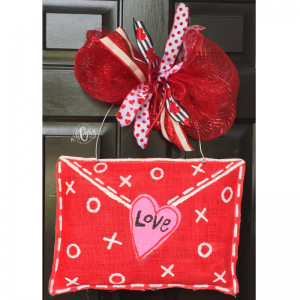 After this is dry you can tie a bow with the ribbon of your choice around the neck! 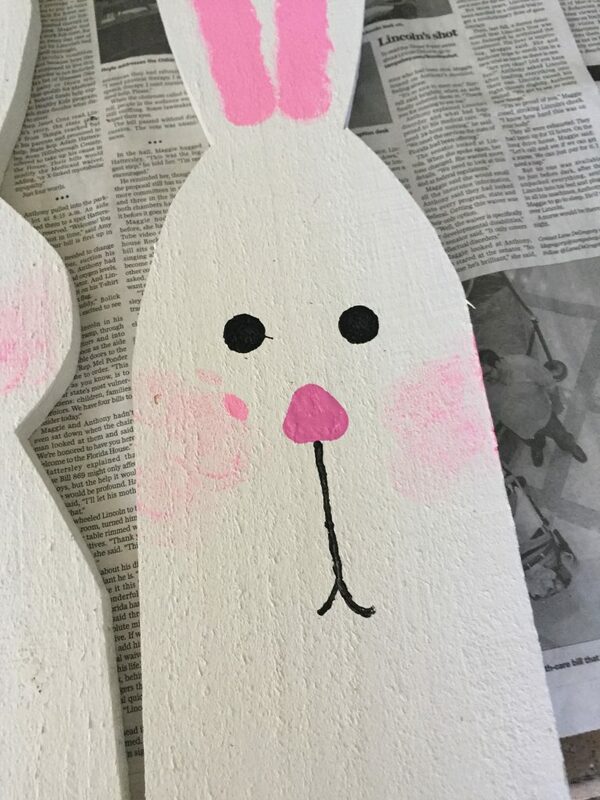 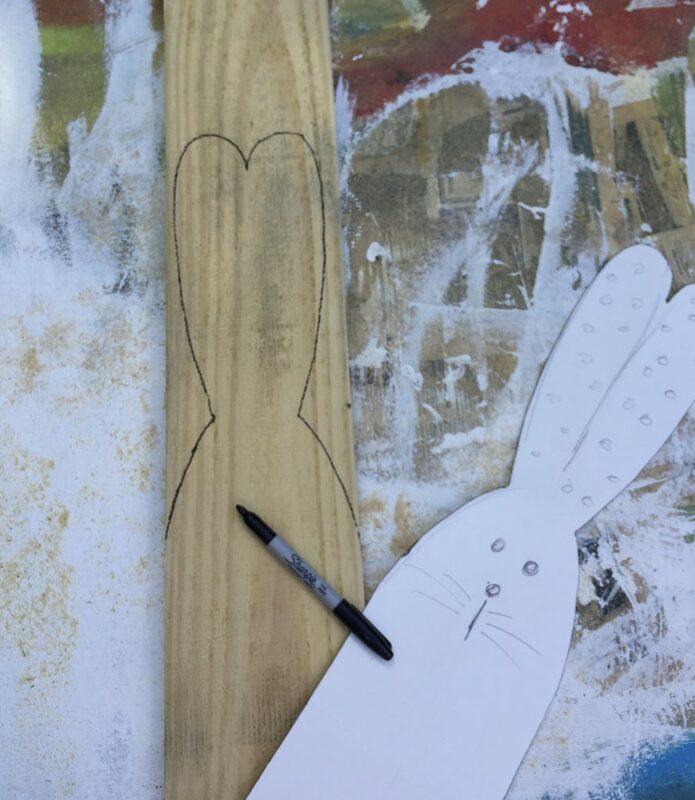 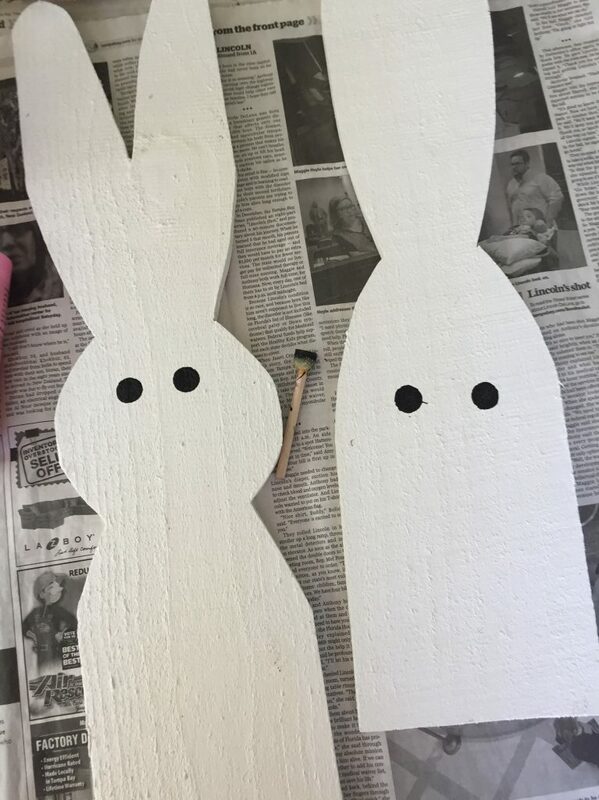 Step 6: Take a scrap piece of wood at the back of your bunny on the bottom and drill holes so the bunny will stand freely! 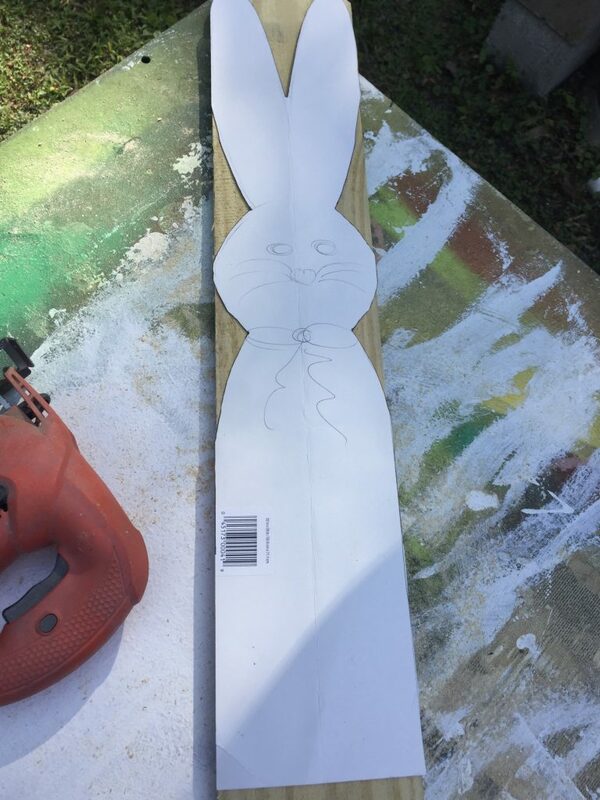 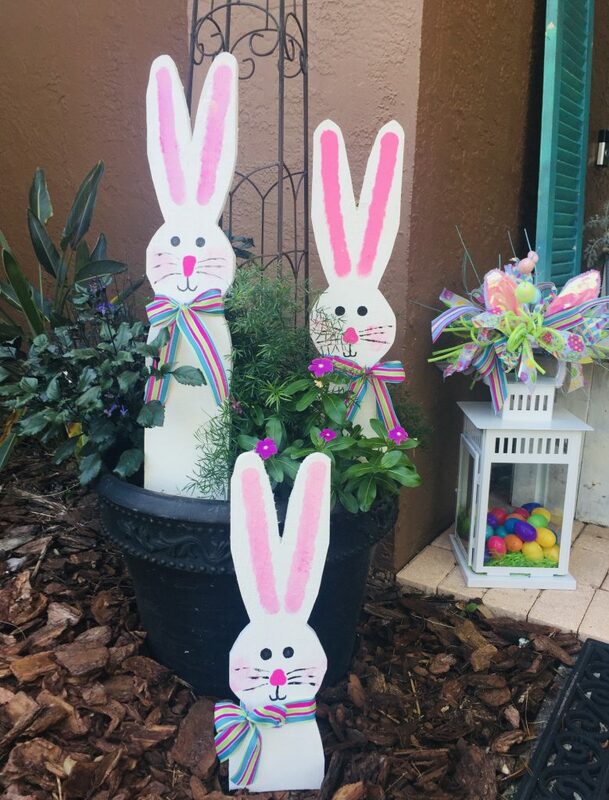 If you’re putting this in your yard I recommend laying a brick or concrete block on top of the wood to make sure the bunny stays standing!